Intuition Made Easy is a helpful guide to exploring and improving intuition skills. Its author, Carol Ann Liaros has been conducting private intuitive consultations, teaching, and lecturing for nearly four decades. She has designed innovative, creative techniques known as "The Liaros Method" of instruction, which incorporate her expertise in the use of specific PSI-metric tools. These methods are widely used today by thousands of past workshop attendees to facilitate accurate psychic answers. Carol Ann Liaros has been featured on hundreds of television and radio shows as well as in numerous newspaper articles. Carol Ann also appeared in the movie Inner Spaces, narrated by Edgar Mitchell, the 6th astronaut to walk on the moon. In addition, she hosted her own radio and television shows for several years. Because of Ms. Liaros' ability to predict the future at an accuracy rate of 93%-97%, numerous corporations have, with her psychic assistance, benefitted in decision-making with acquisitions, mergers, personnel placement and future planning. She has conducted workshops for medical and mental health professionals as well as for clergy and spiritual growth centers. For over 16 years Carol Ann has been a regular instructor at the Association. For Research and Enlightenment (Edgar Cayce Center). Her innovative work with the blind, showing them how to use their psychic ability to become more mobile and more independent, has been featured in many books and newswpaper articles. 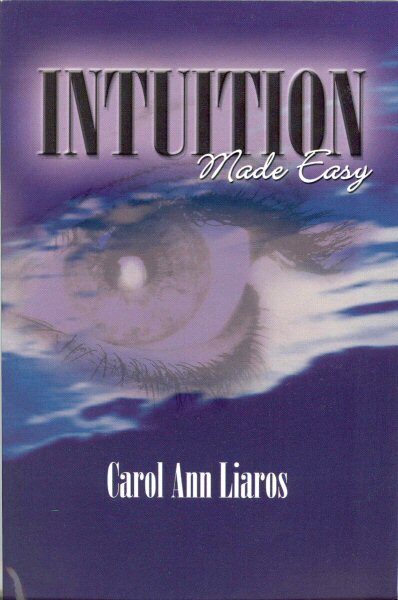 With an on-going interest in the practical application of intuition, Carol Ann continues to help people explore how they can use their abilities in everyday life.